One of my favourite go-to materials is Sugru and I've been wanting to try out making a stamp from it for a while now. But first I needed a handle. 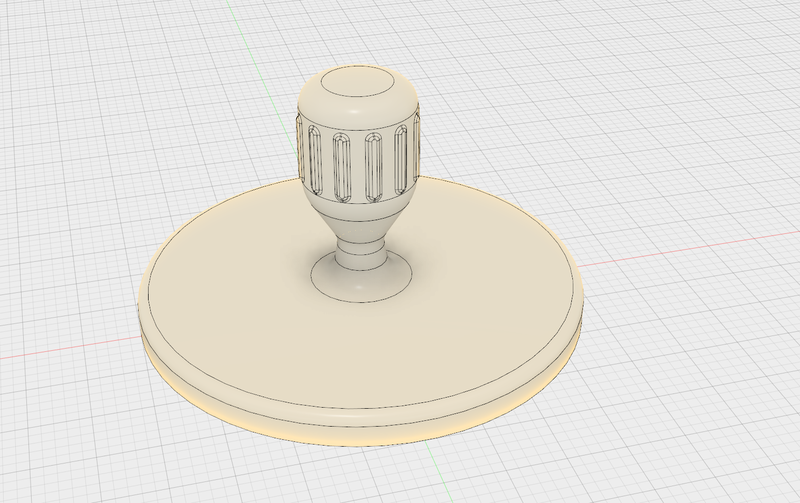 I wipped up a quick one in Fusion 360. Printing didn't take long, even at .1mm layer height. Infill was 30%. On the next print I will increase the top layers to 7, instead of 5, since the printer wasn't able to create a completely smooth top surface. It would probably work just fine it the infill was higher - like 50%. Since I'm printing on a glass surface the bottom was pretty smooth. I made good use of a knife to make more grooves to be sure that the Sugru had plenty to adher to. Printed the "Thumbs up" on a secondary printer. The depth of the relief could probably be half as deep in retrospect. In this one it was 2mm deep. That would make it easier to keep fine details when separating the mold from the stamp. Note to self: don't mirror the print. Since we are making a positiva - the stamp will be automatically inverted for you. Before adding the Sugru I swabbed the pattern lightly with canola oil so it wouldn't stick. A Q-tip was perfect for this. I think it came out pretty well considering the finished quality of the printed surface. Make sure the Sugru get plenty of time to cure. I left it a couple of days since we didn't have the ink-pad yet. Not perfect, but enough to show that the principle works. The ink doesn't adhere extremely well to the stamp, but that might hopefully change over time as the surface get roughened up. Maybe using some fine sandpaper would help as well. I've been meaning to try out Unreal Engine ever since it became "free". Recently found some time to do just that. Since I haven't coded any C++ for at least 15 years I was curious to see what was needed to get a basic project up and running - which turns out - no code at all. Blueprint (a node based graph network) and tweaking options was more than enough. Since I haven't upgraded my VR rig yet, and still use my old Oculus DK1 I was pleasantly surprised that it worked out of the box with the latest Oculus 0.7 driver and Unreal Engine 4.9 under Windows 7. This spring and summer Otoy did a competition called Render The Metaverse and I wanted to view some of the resulting images in VR - since that was the premise of the whole competition. If you own a Gear VR you are in luck, but unfortunately, as far as I have been able to find out, there's no viewer for these stereoscopic cube map images available for the Rift. This was an excellent opportunity to check out how hard it is to develop something in Unreal Engine. As it turns out, it's not hard at all. The most difficult part was to have the cube map for the left and right eye - go to the correct eye. 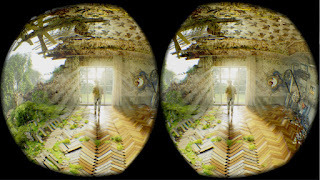 The default behavior is to have a texture mapped to a object and then have the engine create a stereo pair out of that which will get the proper depth when viewed in a VR headset. This, of course, will give you a cube with flat surfaces - although with depth for the cube itself. Since the cube maps provided have depth included we need to take special care to only display the relevant texture to each eye. The solution here was to create a shader that detects which eye that is being rendered and provide the correct texture. After some searching I found the magic node to be the "ScreenPosition" node. We only need the horizontal component so make sure you add a "BreakOutFloatToComponents" node before feeding the output to the "If" node. I also love the "VR Preview" mode in Unreal Engine which lets you test out stuff in the VR goggles easily from within the gui. Although this solution works really well with the default setup in UE - it remains to bee seen if I can get an even better and more correct result. 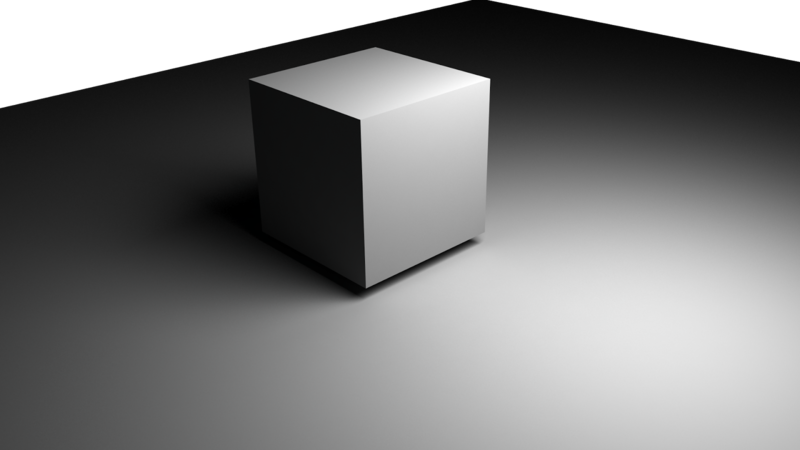 As it is now, we use the same cube for both textures and this cube is scaled arbitrarily without any thought to real world scale. This might cause issues since the cube itself will be rendered with a depth and then the texture will on it will, in some ways, inherit that depth. That again might work against the depth baked into the stereo cube maps and the result might be a feeling of wrong scale. Therefore we might have to work with the IPD (eye separation) a bit. At this point I'm only guessing, but we might have to set the IPD to 0, but I'm not sure yet. Back from vacation and found some time to play around with 3D printing again. Made a filament spool that actually fit inside the FABtotum. The STL file can be found on Thingiverse. The spool consists of two halves so you need to print the part twice. This version of the spool fits nicely within the filament bay, but I'll probably modify the next version to make it a bit thinner. This way there's less chance of friction. You need to glue the two halves together. I used a 3Doodler for the purpose, but a regular glue gun should do nicely. 1lb (about half a kg) of black filament winded. I'm not sure how much filament the spool can hold but after adding about half a kg I would guess it could hold at least three times that amount. Winding is also something that will have to be addressed in the next version. Maybe some attachment to fit it to a drill. What a great read! As every great story it leaves you a bit sad at the end - not because the story itself, but because the book has ended and you want to stay in that universe with those characters a little while longer. I love the Kingkiller Chronicle's as well, but this book is something else entirely. 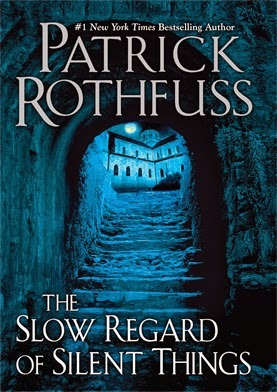 Mr. Rothfuss wrote in his introduction to the book, and repeated again in the after word, that this book "doesn't do a lot of the things a classic story is supposed to do". That may be, but I don't think it could have been told any other way either. How you tell the story is as much a part of what makes a great story as the story itself. This book lands near the top of my favourite book-pile in good company with great storytellers like Neil Gaiman. Five stars easily! So you've decided to get yourself a 3D printer. Particularly a plastic extruder printer (or FDM for short). 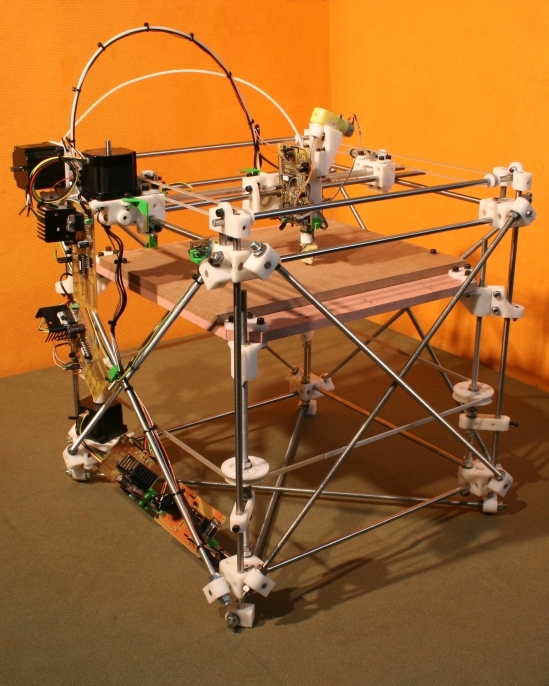 Should you build it from scratch or rather buy a kit or a pre-made printer? I think the first thing you need to decide is whether you want the 3D printer to be the project or if you need a 3D printer for other projects you want to do. If it's the latter I would recommend buying a kit or a pre-made printer since it'll get you up and running quicker and save you hours of frustration. Picking one of the more known brands will also give you a safety net, in the form of support and a fellow user base, if - I mean when something goes wrong. Skip to the end of the article for my thoughts on buying a kit/pre-made printer. Should you, however, decide to go down the other rabbit hole and build one from scratch I've compiled a list of my favourite components. For more details check out my previous blog posts. You will need access to a workshop and at least a basic set of tools as well. There's nothing wrong with the old RAMPS shield and Marlin (firmware) combo, I've been running it for years. On the other hand it can be a bit limiting when running higher speeds as well as non-cartesian printers. The 4XC Smoothieboard should be a good pick although I haven't had the opportunity to try it out myself yet (although I do own one). As for power the cheapest way is to use an old PC power supply which provides both a 12V and 5V rail. However the heated bed will be a lot faster with a 24V supply. You can find these on ebay. A Raspberry Pi for running the print process isn't a wrong choice either since you then don't have to have a full blown PC or Mac hooked up to your printer and you can instead control everything using a nice web interface in OctoPrint. That said, you can in some cases print directly from an SD card, but that depends on your particular electronics. The Smoothieboard also have an LAN option which should eliminate the need for an external computer. 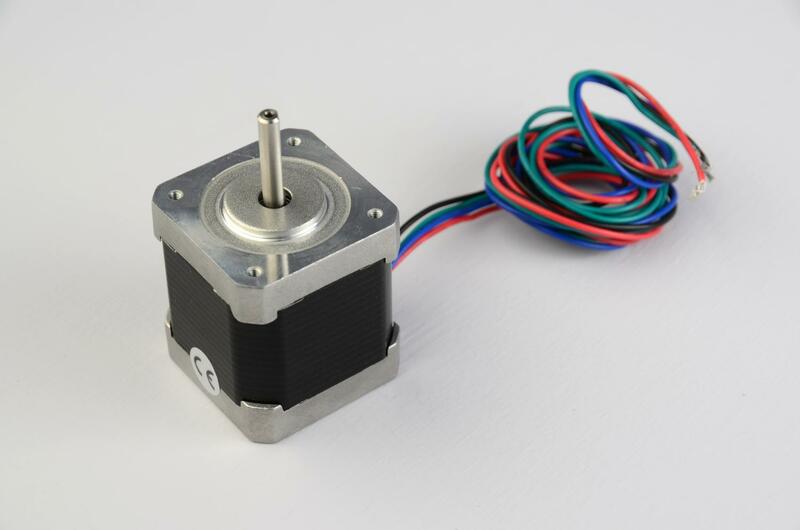 Most 3D printers, of the desktop variety are based on Nema 17 stepper motors. These can be found on ebay. You usually need 3 of these for movement and one for a single extruder. I've had great success with the Bulldog Extruder, although the Lite version ended up being too weak (even for 1.75mm filament) so I bought a geared Nema 17 motor to go with it. That's why I'll recommend going with the XL version right away. My current setup is a E3D-v6 print head which is an all-metal hotend. I like it quite a bit and it is the one I would recommend, but I've also owned a J-Head Mk V which I quite liked. The latter "melted" on me so remember adding active cooling if you choose to use one. On another note printing with 1.75mm filament would, in my opinion, be the way to go for a new printer. Also for first timers start with PLA plastic and work your way up to other, more challenging, plastics from there. 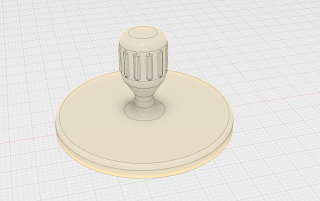 If you plan to print PLA I would, however, recommend adding a print surface on top of the heater. You could of course print on glass, Kapton or blue painters tape, but I've had the most success with the PRINTinZ printer plate so I would recommend checking that out. 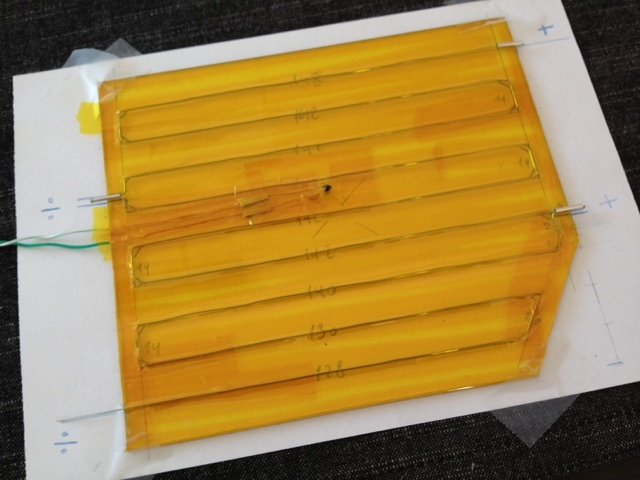 First attempt at creating a heated bed using regular glass and Kanthal wire. And yes, I would recommend getting a heated print bed. Although you can print without heating the PRINTinZ plate I have discovered that heating it to around 40C will help lessen warping. I made the heating platform myself, but it's probably easier and safer to get a pre-made one. Here you need to decide if you'll use a 12V or 24V system before buying. Apart from that I don't have much advice to give since you need to find a size that fits your planned printer. A delta printer, for one, would need a round print bed. 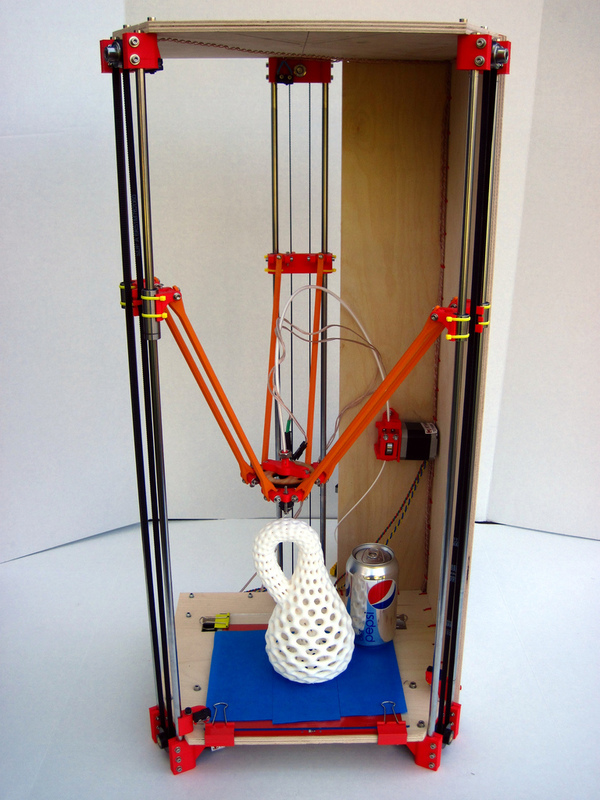 Cartesian printers were the first DIY 3D printers to come out and it consists of a moving print-bed (usually the X axis, sideways) as well as the Z-axis (up and down) combined with a print head that moves on the Y axis. Delta printers - based on the Rostock design came next. Here you have three linear actuators that controls the position of the print head which leaves the object to be printed stationary. Having a very light print head makes these printers extremely fast and they can have a relatively large build area. H-Bot, Core-XY, or their derivatives, are similar in construction to the cartesian printers, but instead of moving the print bed (apart from the Z axis) you only move the print head - which means faster movement. Starting from scratch today I would definitely go for one of the latter two designs. There are several reasons, but the main one is print quality. If you at some point need to print very high and thin parts avoiding any movement of the object being printed is good as it will flex and could ultimately come loose from the print surface. I have no experience with these printers myself, but I would choose one of these should I order order one myself - which I have in the case of the Fabtotum. Fabtotum: I ended up ordering one of these back in August when originally researching mechanics for a new printer. I still haven't received it, but I expect it delivered within a couple of months if nothing unforeseen happens. This is a coreXY derivative which also has a 5 axis CNC mill, laser scanner and contact probe. Seems like a solid and thought through design. It arrives fully assembled. As for a kit / delta printer it currently stands between the OpenBeam Kossel Pro and the SeeMeCNC Rostock MAX v2. Both looks good on paper and the latter one comes in a bit cheaper at $999 US. These are my personal opinions and experiences. For all I know some of them might be flat out wrong so any corrections or additions will be appreciated. The other day I discovered that V-Ray 3 had become available for, the open source 3D software, Blender and thought that would be neat to try out. At work we primarily rely on Autodesk Maya as the primary 3D software. Since the official install instructions were a bit lacking for linux I thought I should write up how I got it working on Ubuntu Mate 14.10. First of all, unlike OS X and Windows, there's no install file on linux. I suggest reading through the Chaos Group instructions anyway since I'll skip the obvious parts here. Start by installing V-Ray 3 standalone. Download the latest Blender (I used v2.73a) and the appropriate V-Ray plugin. Unpack the Blender files wherever you like, I just kept everything on my desktop since this was just a test. You then need to extract the V-Ray plugin to it's own directory. Don't worry this will only be temporary since the next step is to copy all files (including the custom blender binary) into the blender folders you created in the first step. Obviously you should change the directory names in this example. That's it. Now you should be able to fire up Blender by using the new binary file. So it's been a while. Been way to busy with work, and life in general, to do any projects/blogging, but hopefully there will be more interesting stuff here in the time ahead. 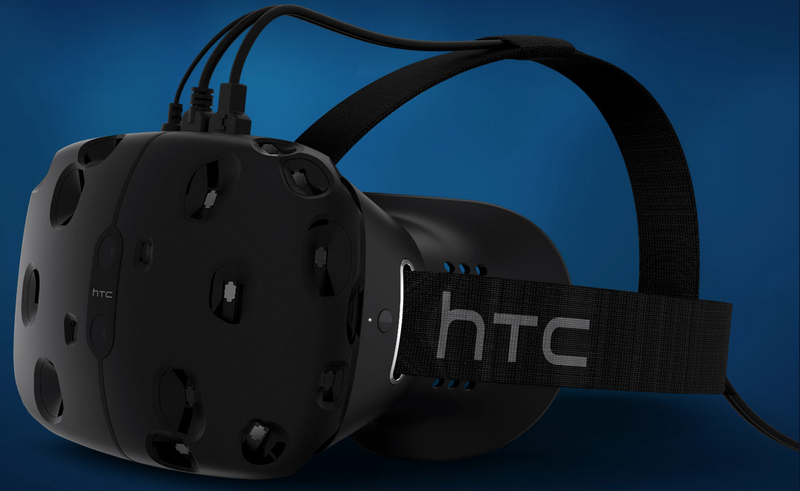 On another note I've been following the VR news pretty closely lately - since HTC released their new headset, the Vive, together with Valve. Up until now it's pretty much been Oculus and their development kits / prototypes, but the Vive seems to have quite a few interesting features - particularly the freedom of moving around instead of the seated experience the Rift gives you. As for myself that gets motion sickness extremely easy on the DK1 that's something to look forward to since I believe this will help greatly. There's also the Roto which might help in that regard. Too early to say how much it helps, but it would be fun to try out - even try to build myself. 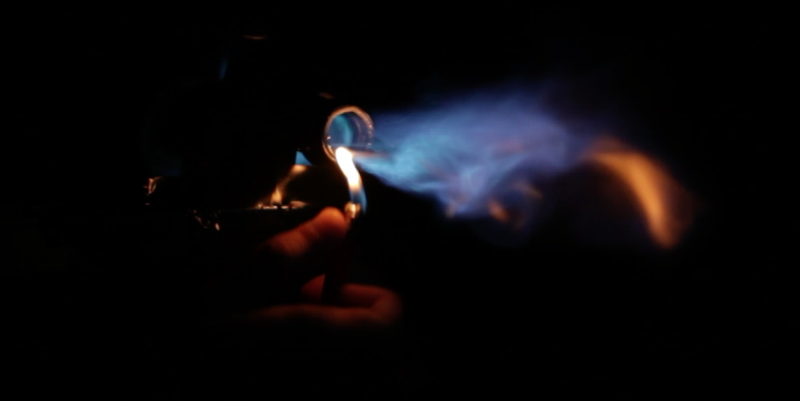 There's a kickstarter up for the Roto which ends in 28 days. I also received two new Raspberry Pi 2's recently. Apart from installing Raspbian and Octoprint I haven't done much, but plan to use one to drive my 3D printer at least. This should have two advantages; hopefully I can get rid of the USB hub which is needed to power the Arduino Mega and it will have more processing power/RAM so that I can hook up a camera. The latter has of course been possible for a long time, but I've been running the original Pi model B which had only 256MB of RAM so I didn't want to use resources on anything else than Octoprint.